Blackrock Clinic Emergency Department How does it work? 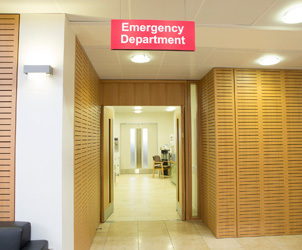 Blackrock Clinic’s Emergency Department (ED) caters for patients suffering from chest pain, gastrointestinal or respiratory conditions, fractures, falls or other orthopaedic complaints and other urgent conditions which may require stitches and casts. Patients using the service can expect the certainty of being seen quickly by the professional emergency team. The department is open seven days, Monday to Friday 8am – 6pm, Saturday, Sunday and Bank Holidays 10am – 5 pm.